Lebo Mothiba was back among the goals over the weekend, scoring his 11th of the season just before reporting for international duty with Bafana Bafana. The 23-year-old striker has enjoyed a bright start to life with Strasbourg in his debut campaign at the club, scoring nine goals in Ligue 1 and two in their march to the Coupe de la Ligue final. Having undergone a bit of a dry spell in the league as Strasbourg struggled for form, Mothiba’s first Ligue 1 goal of 2019 came as he expertly finished off a fine team move to open the scoring in their 2-2 draw with Nimes on Saturday. The former Lille man will now be turning his focus to the international stage as he looks to extend his tally for the South African national team and help them secure a place at the 2019 African Cup of Nations. 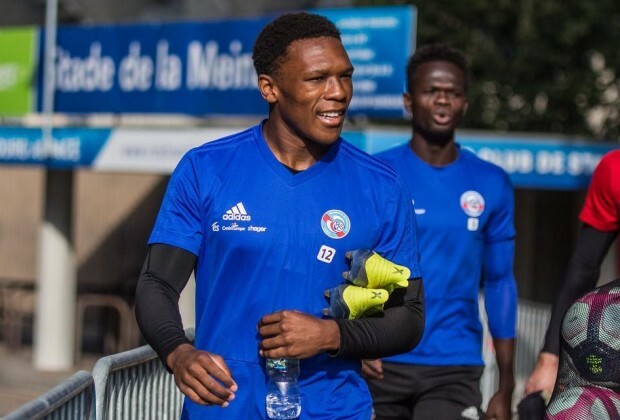 Mothiba has one of the best shots to goals ratios in the French top-flight this season having scored from nine of his 17 shots on target so far, and Bafana fans all over the country will be eager to see that form continue in Tunisia this coming weekend. Surely, this is a moral boaster for the striker as he will be high with confidence going to the big clash over the weekend.